The 2014 Chevrolet Volt just received the Insurance Institute for Highway Safety’s stamp of approval as the organizations Top Safety Pick +. Though the Volt’s 16-kilowatt-hour lithium-ion battery pack is heavy, the Volt was the only small car out of 12 with optional front crash prevention system. These are not the only safety features the 2014 Chevrolet Volt to help keep drivers safe. To minimize damage the Volt is armed with Forward Collision Alert, which will alert the driver of slowing vehicles; and Lane Departure Warning, that warns you in case you are drifting. This car is also equipped with an available rear vision camera system, and rear park assistance. The 2014 Chevrolet Volt is not only ahead of its competition in safety but also cutting-edge technology. 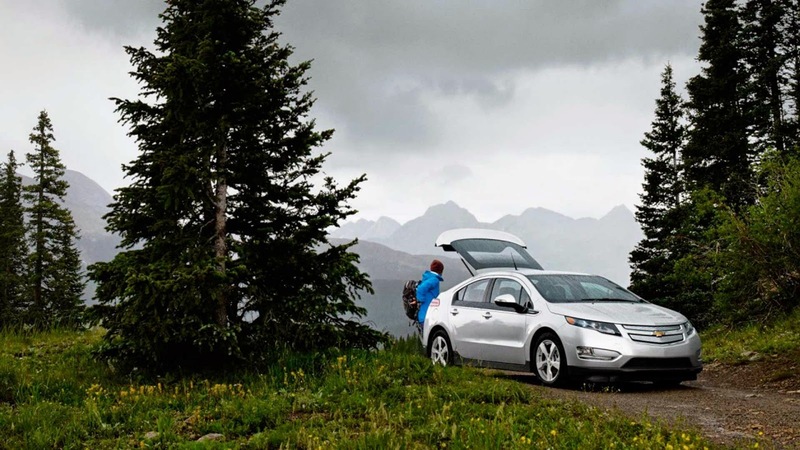 The Volt allows you to drive on pure electricity and seamlessly switch to gasoline for longer trips. When fully charged with a full tank of gas the revolutionary Volt can drive an EPA-estimated 380 miles. Uftring Weston in Peoria, IL is proud to carry the latest in Volt technology. Stop by to test-drive a 2014 Chevrolet Volt today. Check back in to find out about the 2015, coming soon.